Here at Rippling Meadows Paints we are reducing our herd. 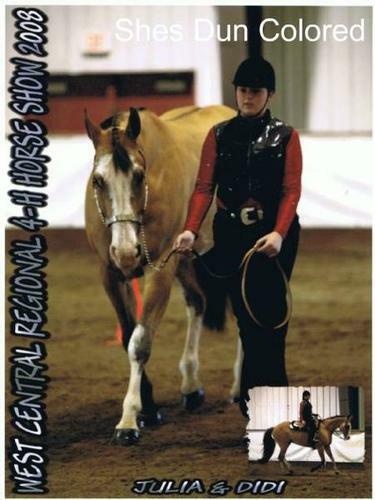 We have many great horses of all ages, sizes and colors. We have Weanlings, Broodmares, Riders, Prospects, and a Stallion for sale. Get them before there are gone! She is bred to "Its All In My Jeans" by "All Time Fancy"
Rippling Meadows is pleased to offer dez SACRED SENSATION for sale ( sorrel overo stallion by The Big Sensation x Sacred Arrival). Arnie has been very lightly started with a few rides under saddle. He was very well mannered to hand breed with and has a wonderful disposition. He covered about 9 mares this spring with ease. This young stallion definitely inherited the prominant Big Sensation "stamp" in his over-all look and movement. With our work schedules, we didn't get the time on him we would have liked and he would be a great contender in the show pen not to mention a great addition to the stallion power for Alberta. Luke N For Blue Sky (Name Pending) AQHA Chestnut Colt by "Its All About Blue" out of our Coats N Tails mare "My Designer Coat" String tests to 17.2 he is going to be big and has an amazing disposition.